Pharma Franchise for the Antiviral Range-The antiviral drug market is rapidly increasing its base throughout India. Antiviral medicines have a good earning scope to start a new business. Biofield Pharma is a Chandigarh based pharmaceutical company that has its roots all over the Nation. It is an ISO certified company that provides the best quality medicines for Pharma Franchise for the Antiviral range. We manufacture and supply a variety of medicines to treat viral infections. These medicines cover tablets, capsules, injectables and syrups, etc. Antiviral medicines are widely used medicines to cure the diseases caused by viruses. It checks or replaces the sick viral of our body. 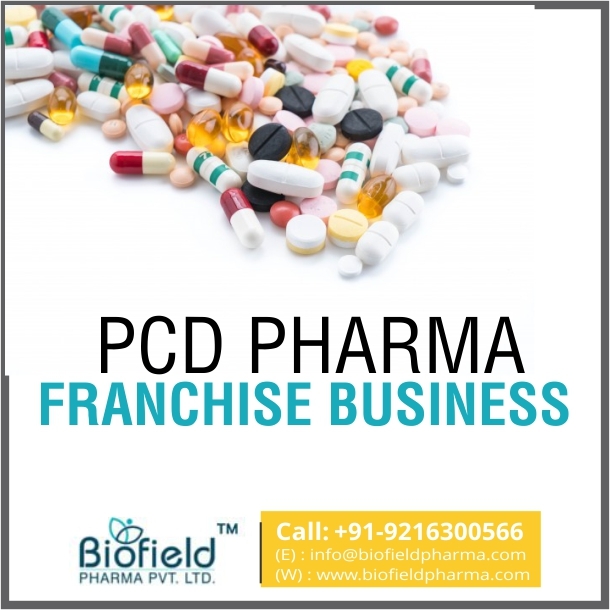 Biofield Pharma is the reputed name in providing the best quality products for pharma franchise for the antiviral range. We manufacture high-quality medicines that are checked by global standards like GMP and WHO. The company offers the best quality and effective drug solutions. We ensure the best business deals with maximum profit in pharma franchise for antiviral. If you are looking for the pharma franchise business opportunity, then Biofield Pharma is offering the best business deals for the antiviral range. For more information, you can contact our experts at +91-9216300566, +91-9216300166. Antiviral drugs are highly in demand. It has a never-ending market demand. Its demand increases with the change in weather. The antiviral drug market is expected to rise about 69.2 USD billion by 2025 at the global level. The growth rate is about 4 % of CGAR. The high population of India leads to the high demand in Antiviral range. It is the best sector of pharma franchise to invest your money. Biofield Pharma is the best company that provide high-quality drug solutions for antiviral diseases. We have marked a reputed place in pharma franchise business. The company is ISO certified. All the medicines are verified by the manufacturing team that follows DCGI, WHO and GMP guidelines for manufacturing. We offer all the marketing tools that enhance the pharma business for a better growth. Be an independent entrepreneur by investing in pharma franchise business for the antiviral medicinal range. Biofield Pharma has earned the renowned name in providing the quality pharma products at an affordable range. The company is ISO and GMP certified. We are approved by the DCGI and WHO standards of manufacturing. We serve the safe, effective and durable pharma products at an affordable price. A fine grade raw material is used to manufacture the quality drug solution for antiviral diseases. We use innovative packaging solutions like alu-alu and blister packaging, etc. to ensure the non- contaminated and safe medicines. The company follows the global standards of manufacturing that ensure that you are getting qualitative antiviral drug solutions. You will enjoy defect free and non-contaminated drug solutions that are verified by experts. The manufacturing as well the packaging of medicines is checked by a special team to ensure the best and safe product delivery to the customer. Why Choose us for the Best Business Opportunity for Antiviral Medicines? Reliable market support is assured to make a perfect marketing model. Attractive promotional tools and gifts to promote your business will be offered from time to time. Pharma Franchise business in Antiviral Range is a very suitable business venture for those who are thinking in investing in pharma market. Its demand increases with the increase in viral infections. If you need to enhance your skills in entrepreneurship in pharma franchise market, we are here to offer you all the strategic tools for the promotions of your pharma business.